Published by Odhams Press, London First Edition 1957. 1957. First edition hard back binding in publisher's original cloth covers, gilt lettering to spine. 8vo. Contains 256 pages. Very Good in Very Good dust wrapper with light rubs to spine tips and corners, not price clipped. Dust wrapper supplied in archival acetate film protection. 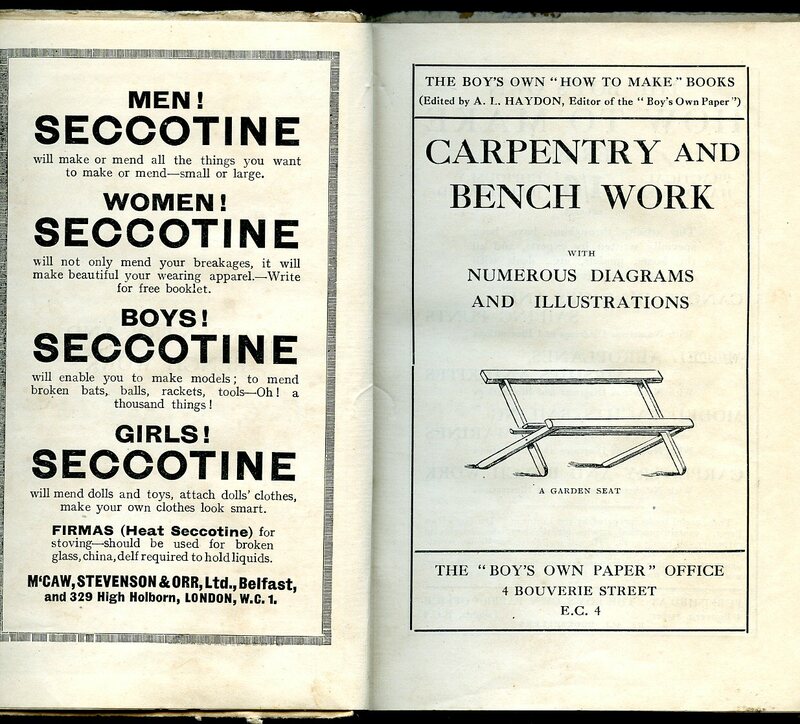 Published by Boy's Own Paper Office, London circa 1920. 1920. Well illustrated. Advertisements to front and rear end papers. Webbing exposed to spine head, rubs to edges and rear panel. Member of the P.B.F.A. Published by John Murray, 50 Albemarle Street, London First Edition 1947. 1947. 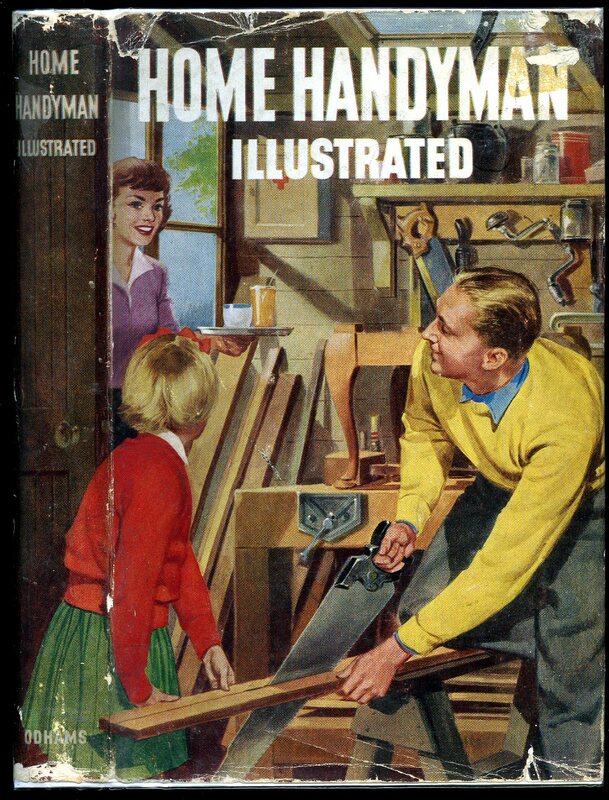 First edition hard back folio 100 pp. 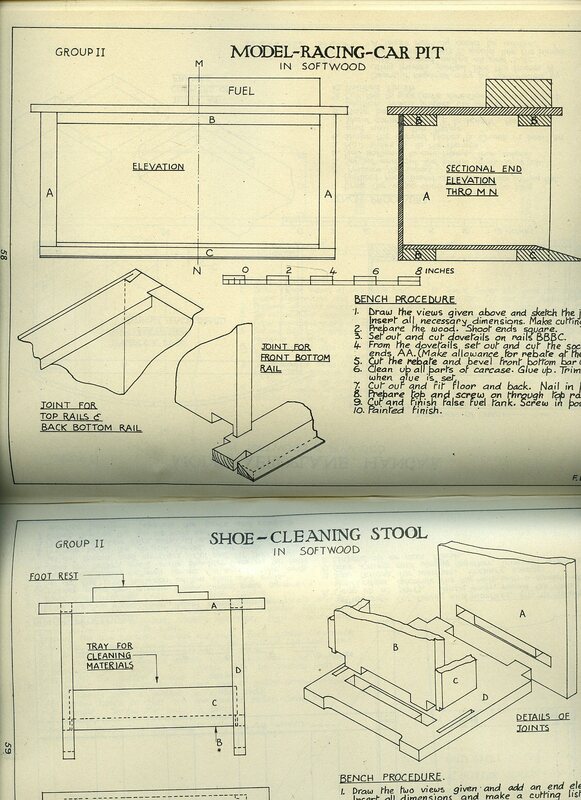 Well illustrated with individual plans and full page photographs of finished work. Covers joints, construction, tools, materials, timber, growth of trees, design, finishing and construction. In Fine condition, no dust wrapper. Scarce. Member of the P.B.F.A. 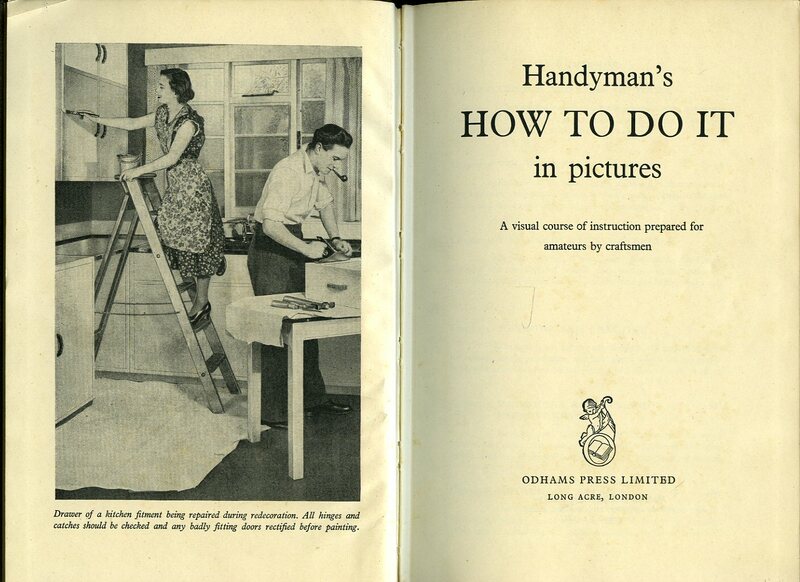 Published by Odhams Press Limited, Long Acre, London circa 1950 edition not stated. 1950. Hard back publisher's original brown leatherette cloth covers, gilt stamping to spine. 8vo 9" x 6" 320 pp. In Very Good condition with light foxing to end papers, no dust wrapper. Member of the P.B.F.A. John Wiley & Sons, Inc. Sixteen Thousand circa 1915. 1915. Hard back binding in publisher's original dark green cloth covers, turquoise lettering to spine. 8vo 7½" x 5¼" 231 pp. Monochrome illustrations and sketches. Pencil calculations to lower end paper, corners turned-in and in Very Good condition, no dust wrapper. Member of the P.B.F.A. 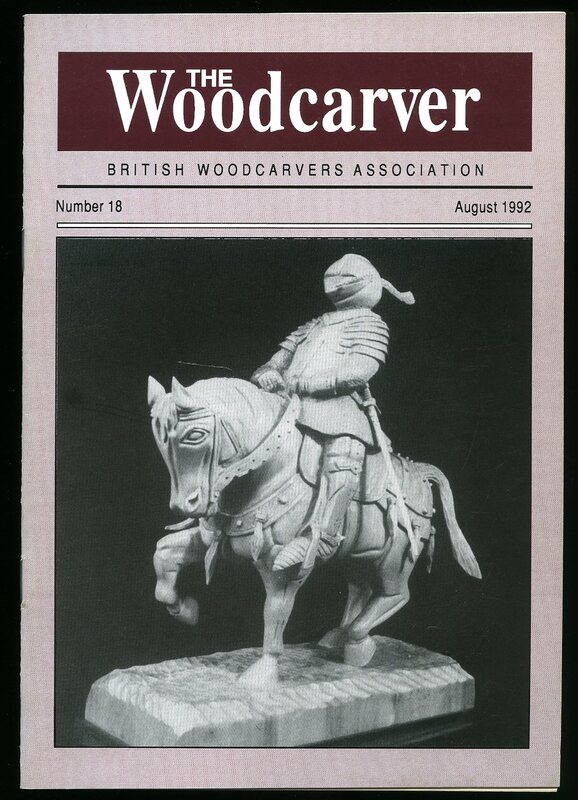 British Woodcarvers Association August 1988. 1988. Publisher's original stapled card covers. 8vo 8¼" x 6" 38 pp. Monochrome photographic illustrations, advertisements to end papers. In Fine condition, no dust wrapper as issued. Member of the P.B.F.A. 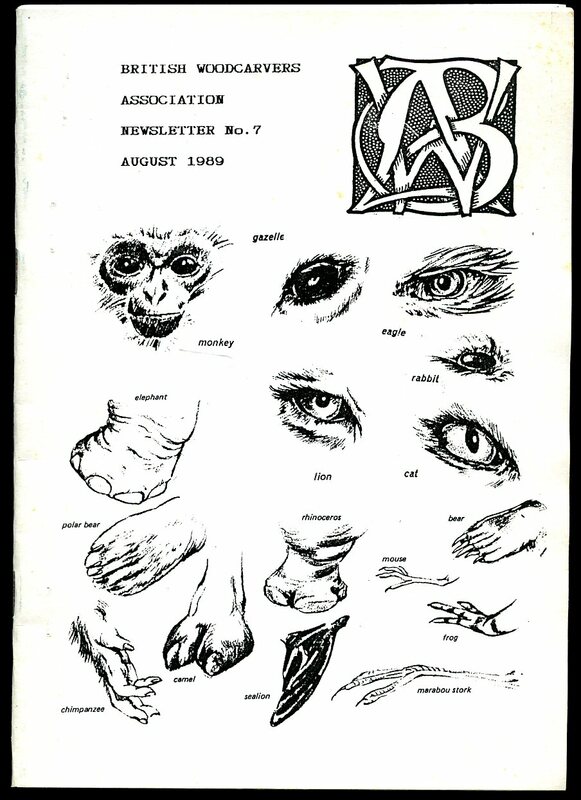 British Woodcarvers Association August 1989. 1989. Publisher's original stapled card covers. 8vo 8¼" x 6" 30 pp. Monochrome photographic illustrations, advertisements to end papers. In Fine condition, no dust wrapper as issued. Member of the P.B.F.A. 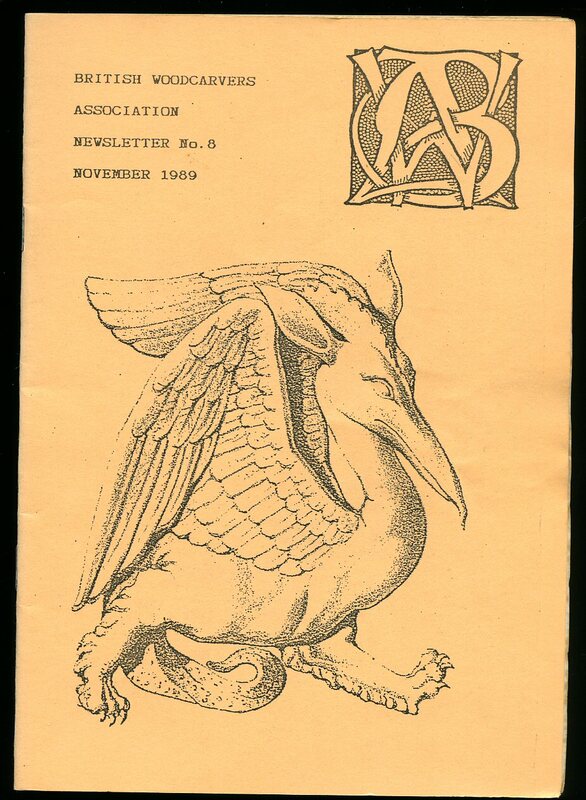 British Woodcarvers Association November 1989. 1989. 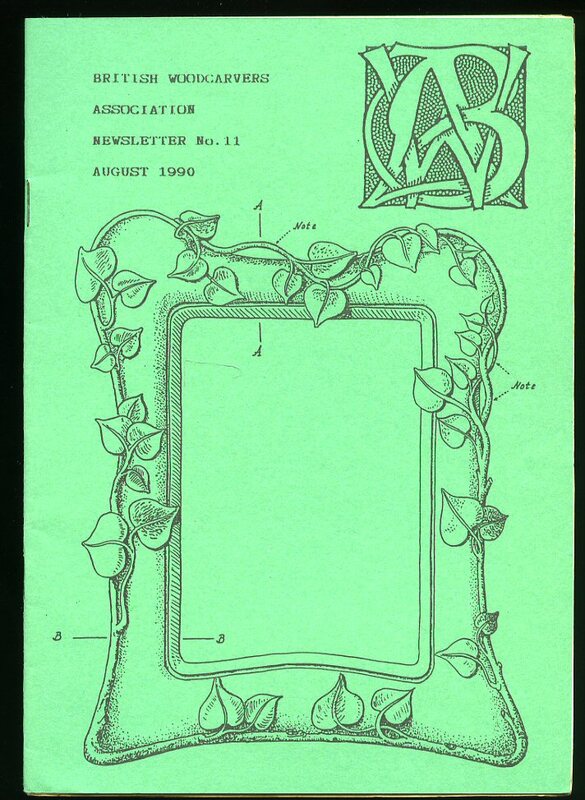 Publisher's original stapled card wrap covers [softback]. 8vo 8¼" x 6". 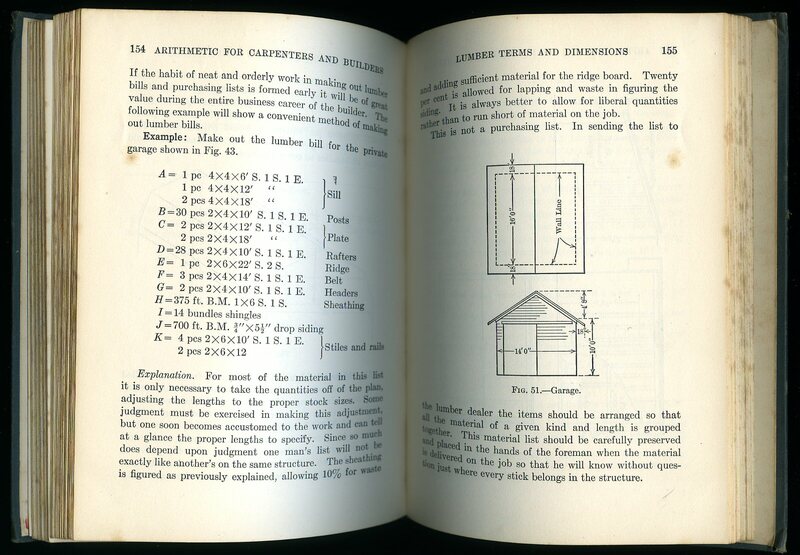 Contains 30 printed pages of text with monochrome photographic illustrations, advertisements to end papers. In Fine condition, no dust wrapper as issued. Member of the P.B.F.A. 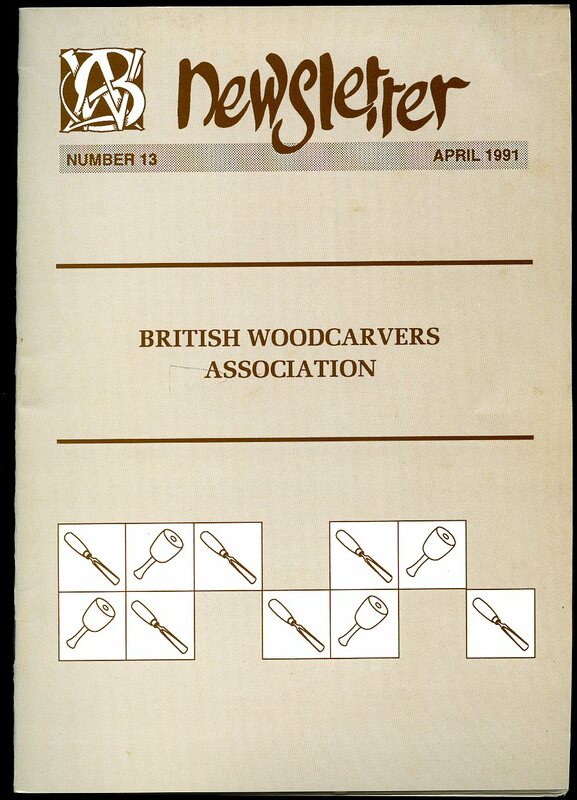 British Woodcarvers Association February 1990. 1990. British Woodcarvers Association May 1990. 1990. 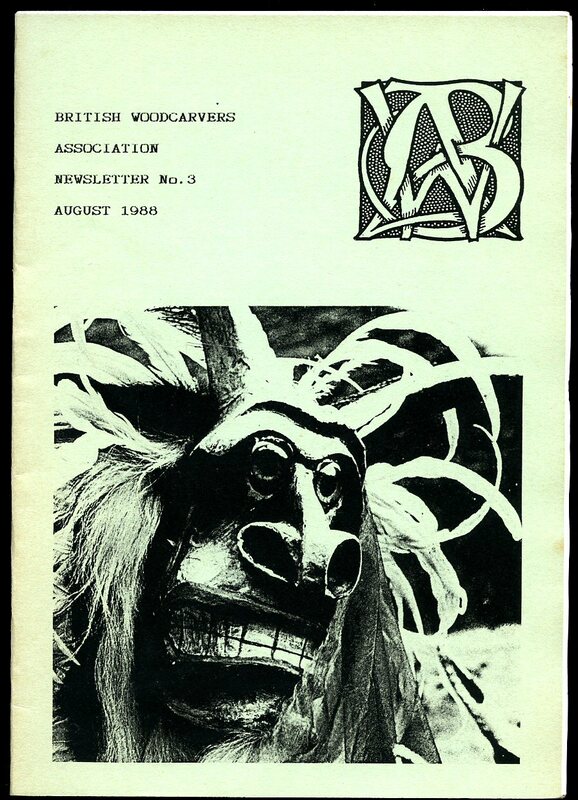 British Woodcarvers Association August 1990. 1990. 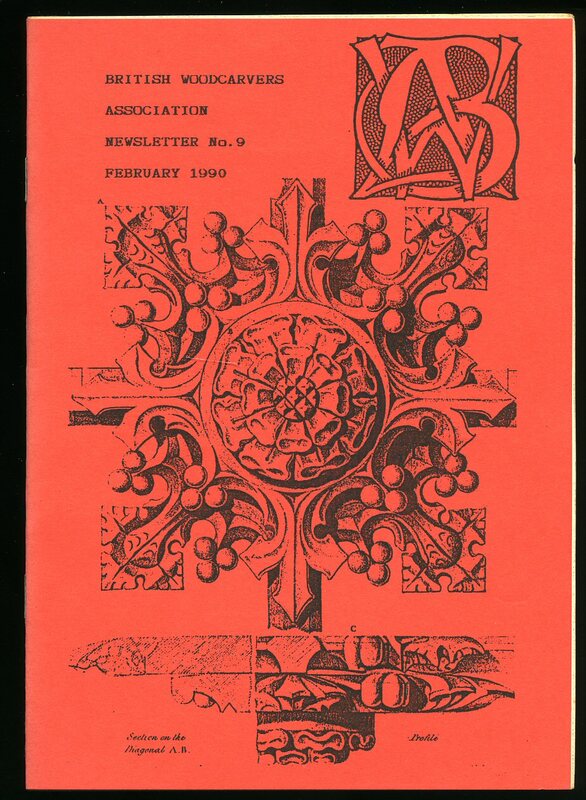 British Woodcarvers Association January 1991. 1991. 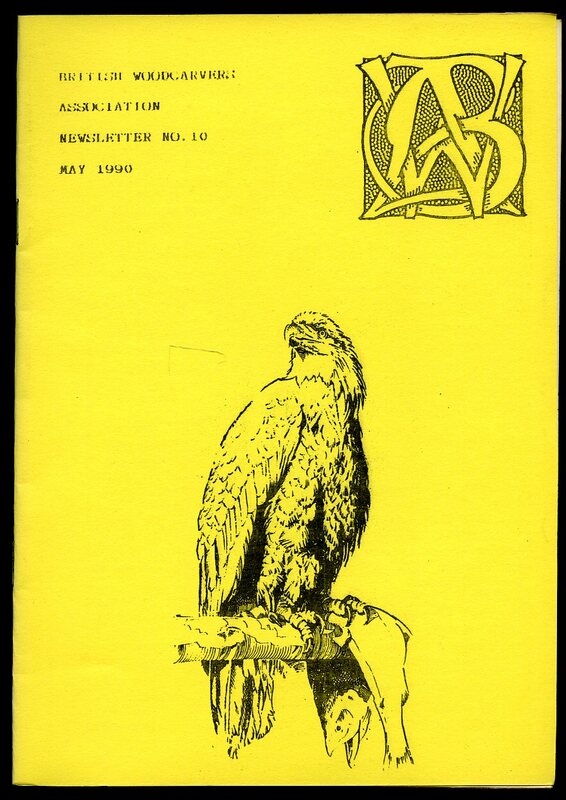 British Woodcarvers Association April 1991. 1991. 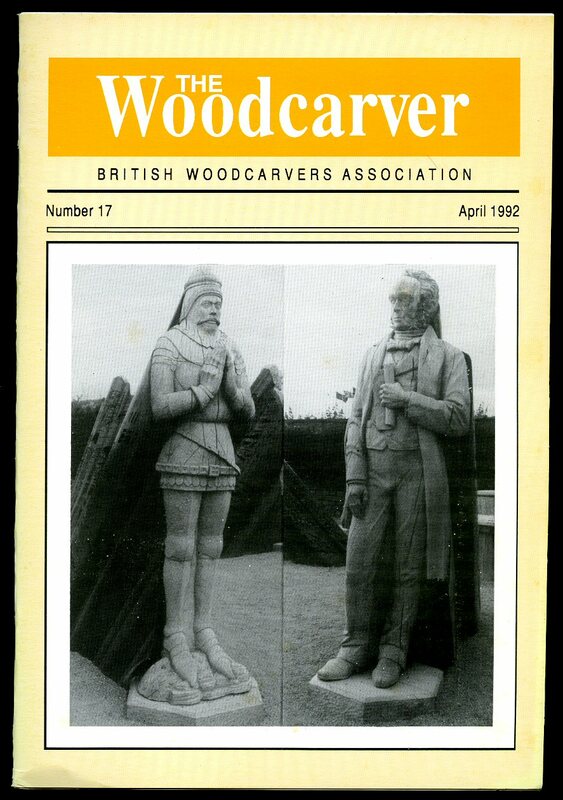 British Woodcarvers Association April 1992. 1992. 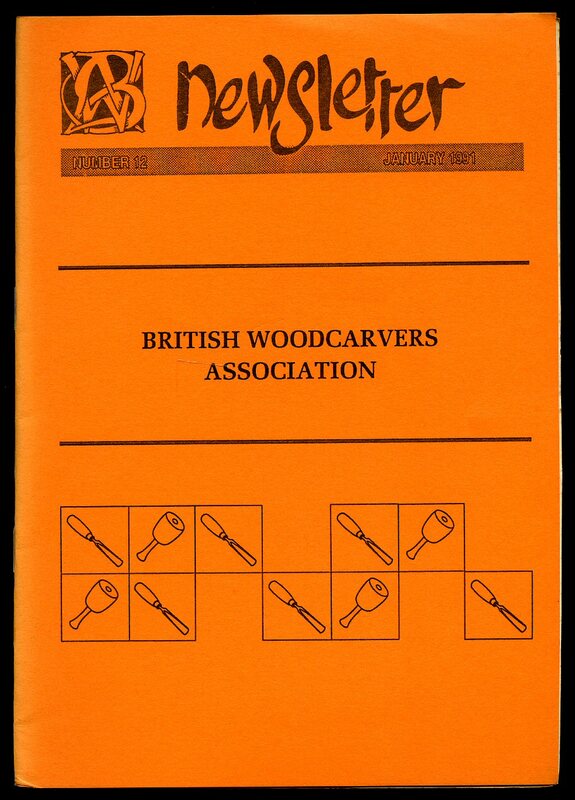 British Woodcarvers Association August 1992. 1992.